Medical marijuana is a source of confusion, frustration and ignorance among many of us. On the one hand, we don’t want to see our loved ones suffer from needless pain, yet on the other hand, as professionals in the substance abuse field, we want to see all medications depoliticized and subject to the proper scientific process. Much to the ire of legalization advocates – who banked on President Obama looking the other way while states voted to make an illegal drug medicine – the feds, working with state officials, have expanded its enforcement actions against commercialized “medical marijuana” operations. These operations market to kids, are tied to criminal organizations and their customers bear little resemblance to the truly sick and dying. 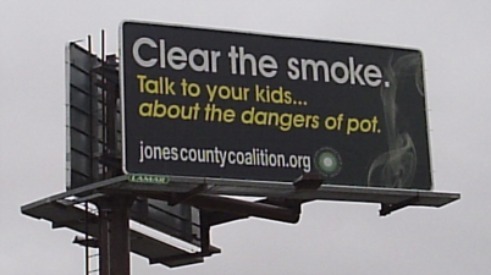 There is no doubt that medical marijuana is a controversial and complex issue. I try to break down several of the more complicated issues, once and for all, in this two-part series. Unfortunately, rescheduling, besides being an ill-advised move for several reasons, would not even solve the governors’ states’ problems. Under the CSA, a substance is scheduled into one of five classes – Schedule I means that it has no medical use, and high potential for abuse. The primary difference between Schedule I and II substances lies in the phrase “currently accepted medical use in the U.S.” This phrase has been interpreted to require that the drug’s chemistry is known and reproducible, that there are adequate studies on safety and efficacy, and that the drug must be accepted by qualified experts and backed up by widely available peer-reviewed science2 (mere anecdotal evidence, state laws or even the policy positions of medical organizations, are not sufficient to satisfy these criteria). But placing marijuana in Schedule II alone, even if it were to pass that rigorous test, is not enough to get the governors out of their conundrum. The big point is this: Schedule II substances may be prescribed by physicians and dispensed by pharmacists only when incorporated into specific FDA-approved products. This fact is sometimes articulated as follows: “Schedule II substances may be prescribed.” This abbreviated description, however, is dangerously incomplete and, as a result, has caused significant confusion. Such confusion underlies the governors’ current petition. The FDA approves specific medical products produced by a particular “innovator” (for branded products) or generic manufacturers. For example, oxycodone, an opioid, is in Schedule II. Specific products, such as OxyContin® (an extended release form), are also in Schedule II. Physicians prescribe a specific branded or generic product, in a particular dose and dosage form. Smoked marijuana can’t be prescribed because there is no standardized dose and no specific product. Imagine for a moment that the “medical marijuana” advocates were instead “medical opium” advocates and that various states passed laws legalizing the cultivation and distribution of opium plant material, i.e., opium latex or poppy straw. Even though opium latex and poppy straw are each in Schedule II, there would still be a conflict between such state laws and federal law. As a well-known drug reform advocacy website states: “If poppies are grown as sources for opiates, there is no question that it violates the CSA.”3 Furthermore, physicians would not be authorized to prescribe, nor pharmacists to dispense, dried opium or poppy straw. In order to be prescribed, a specific product containing opiate active ingredients (APIs) would have to pass muster in the FDA approval process. Therefore, the mere act of placing herbal marijuana in Schedule II would not make it available to patients nor address the conflict between state and federal law. The governors’ petition asserts that there is a “consensus of medical opinion concerning medical acceptability of cannabis amongst the largest groups of physicians in the United States.” Additionally, a committee of the California Medical Association recently called for the rescheduling of marijuana “so it can be tested and regulated.” In Part II, I will tackle these issues and more. In the first installment of this series, I discussed the fallacy of rescheduling as part of the “medical” marijuana issue. This final part focuses on the issues brought up by the governors in their rescheduling petition: a so-called “consensus” opinion of doctors who approve of raw marijuana as medicine, and, the issue brought on by the California Medical Association that essentially says research on marijuana cannot go forward without legalization. I will tackle each at a time. The term “botanical drug substance” is derived from an FDA guidance document: “Guidance for Industry: Botanical Drug Products.”4 It refers, not to herbal plant material, but to extracts or similar preparations of the active botanical components. 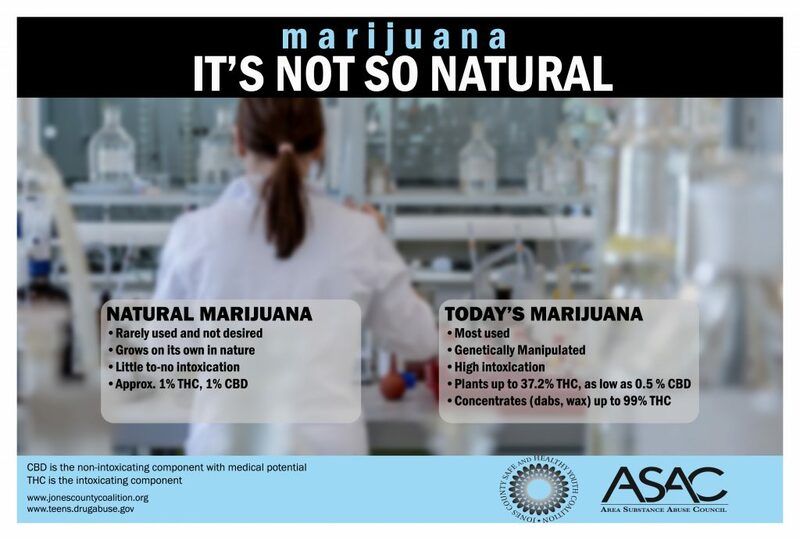 Rather than accepting that marijuana meets the “current, modern accepted standard for what constitute medicine,” the AMA is essentially stating that research into crude marijuana plant material is a dead end. A committee of the California Medical Association recently called for the rescheduling of marijuana “so it can be tested and regulated.” However, it is not necessary for marijuana to be rescheduled in order for legitimate research to proceed. Schedule I status does not prevent a product from being tested and researched for potential medical use. The FDA (and its Controlled Substances Staff or CSS) will allow an investigational product containing a controlled substance (including Schedule I substances) to be tested in clinical (human) trials if there is adequate evidence of safety from non-human studies.5 The CSA imposes stringent security, record keeping, and other requirements, but these apply equally to Schedule I and Schedule II substances. Under the CSA, the only differences between Schedule I and II are rather technical:6 Before granting a Schedule I research registration, the DEA will separately inquire whether the FDA believes that the researcher is qualified and competent and the trial design will elicit scientifically valid data.7 A Schedule I research registration must be renewed each year, whereas research registrations for other controlled substances are valid for 3 years. Schedule I research registrations are protocol, as well as substance, specific. By contrast, a Schedule II registration is valid for research into all Schedule II substances and protocols. Physicians, if they possess registrations to prescribe and administer products containing controlled substances, may conduct research (if permitted by the FDA and the relevant ethics committee) on any Schedule II substance; they need not obtain a separate research registration from DEA. These additional Schedule I restrictions can delay a research program but are not insurmountable. Furthermore, it may be possible to make minor amendments to the CSA to “equalize” Schedule I and Schedule II research requirements without necessitating a rescheduling of marijuana. Now that would be an interesting thing for governors and the CMA to call for, but apparently neither seemed bothered enough to do the homework required to make such an argument. Today, Schedule I research certainly does go forward. In a recent pharmaceutical company-sponsored human clinical study investigating a product derived from marijuana extracts, the DEA registered approximately 30 research sites in the U.S. and also registered an importer to bring the product into the U.S. from the U.K., where it was manufactured (this is for a drug called, Sativex, which combines two of marijuana’s active ingredients). What other research projects are happening? That will be the subject of a soon-to-be released report I am working on – stay tuned. We should also mention the marijuana-based medications already on the market today. Dronabinol (Marinol ®) and Nabilone (Cesamet ®) are concentrated, synthetic versions of the most active ingredient in marijuana – THC – taken as a pill. They are in Schedule III and Schedule II, respectively, and they have been shown to be effective in the treatment of nausea and vomiting caused by chemotherapy in people who have already taken other medications without good results. These have undergone FDA’s process and are completely legal under the Controlled Substances Act. By contrast to the careful and detailed structure of the Controlled Substances Act, the governors’ petition offers no criteria or guidelines that would clearly identify the scope of legitimate “medical use.” The CMA report also misstates the facts. At present in California, and several other states, it is widely recognized that the concept of “medical use” of marijuana is highly questionable. For payment of a small cash sum, almost anyone can obtain a physician’s “recommendation” to purchase, possess, and use marijuana for alleged medical purposes. Indeed, numerous studies have shown that the most customers of these dispensaries do not suffer from chronic, debilitating conditions such as HIV/AIDS or cancer and are instead otherwise healthy individuals.8,9 Both sides of the argument agree that this system has essentially legalized marijuana for recreational use, at least amongst those individuals able and willing to buy a recommendation.10 The governor’s petition would potentially expand that system on a national scale, permitting any physician in any state to prescribe any form of marijuana for any medical condition. The CMA call, while a great way to generate publicity on legalization, is also predicated on a false assertion that the only way to do research into marijuana is to legalize the drug. Sadly, vociferous calls for rescheduling and legalizing like these simply further muddle and confuse an already highly charged debate. Kevin A. Sabet, PhD, Policy Consultant and Assistant Professor, University of Florida, College of Medicine, Division of Addiction Medicine, Department of Psychiatry. To read more from Dr. Sabet, visit www.kevinsabet.com or follow him on Twitter @kevinsabet.